Mr Thoeun and his wife, both in his thirties, have been in the coffee shop business for nearly a year, and, since opening, customers have only increased. Despite never having studied business management or finance, Mr Thoeun, with guidance from bank officials, has already mastered the apps he uses to manage customers’ payments. He says electronic payments are the easiest way for customers to settle their bills at the cafe and for him to pay suppliers and banks. At least 20 percent of payments at his cafe are done by QR code, he says. “Mobile apps allow us to easily manage payments. Sometimes customers don’t have cash but they want to drink coffee. Fortunately, now they can just settle their bill by simply scanning a QR code,” Mr Thoeun says. 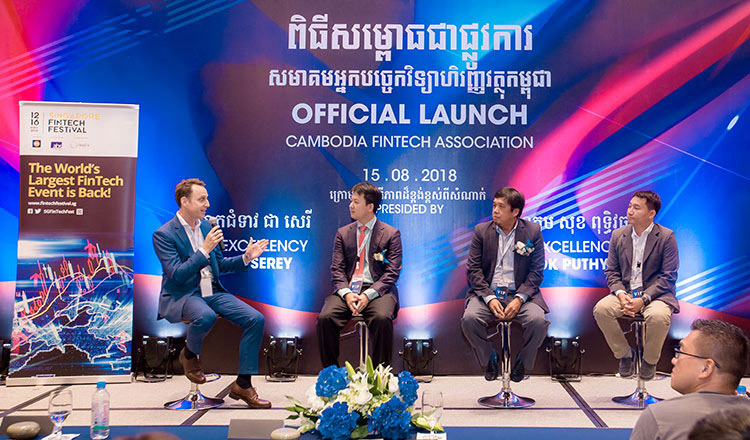 Financial technologies, or fintech, is a nascent industry in the Kingdom, with the government, through the National Bank of Cambodia, working to upgrade the regulation that governs the financial sector and striving to reduce the risks of using digital wallets. Thoe Sreypov, the owner of a grocery store in Takhmao city’s Prek Ho village, added money transfer services to her offer at the shop more than a year ago after learning they were in high demand. “Many people in my village asked me about money transfers, so I decided to start providing them,” Ms Sreypov says. Getting the hang of the technology took some time in the beginning, with Ms Sreypov having little experience with technology in general. After a few weeks, however, she was able to use her point-of-sale machine to transfer money for her customers with confidence. “I encountered many difficulties in the beginning to familiarise myself with the technology. Now, however, conducting money transfers for my customers has become easy,” Ms Sreypov says. The development of fintech – including smartphone, Internet and blockchain technologies as well as data analysis – has boosted the Kingdom’s financial sector.